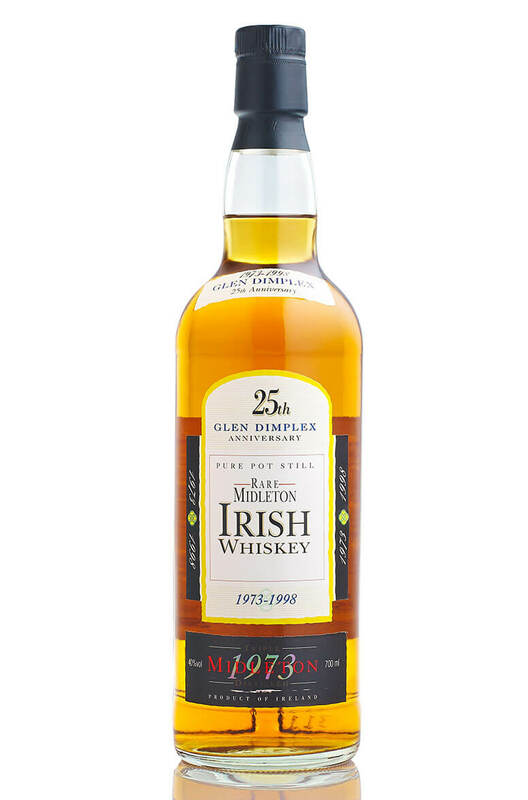 This is a very rare Single Pot Still whiskey which was bottled for the GlenDimplex heating company in 1998. Distilled in 1973 and bottled at 25 years old. Bespoke bottlings like this were extrememely rare at the time as Midleton were keeping all their whiskey for themselves!